You know that saying, “If you do what you love, you’ll never work a day in your life.” by Marc Anthony? Well, it is true! 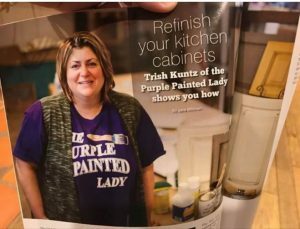 And one of the many rewarding parts about my “job” is helping customers transform their dark ktchen cabinets and then seeing the look of accomplishment and pride on their faces. In fact, we always suggest to take some “before” photos because the power of Chalk Paint® by Annie Sloan and the transformation it will create – will be night and day! So, ……Hi! My name is Trish. And yes, that is me….. in the photo below. (does everyone dislike themselves in photos….or listening to their own voices on tape, or is that just me?) 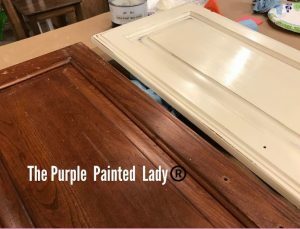 I started The Purple Painted Lady® eight years ago, and since then, we have helped easily over 10,000 people transform their kitchen using Chalk Paint®. We are so thankful to (585) Magazine for writing an article about using Chalk Paint® for home DIY projects and featuring us. Chalk Paint® is not a Latex paint, and it is not an acrylic paint. 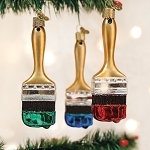 It is a water base paint that has no smell at all. There are no VOC’s and it is very easy to use since there is NO sanding, stripping or priming. Chalk Paint® is extremely dureable and easy to maintain (and no, you do not need to reseal or apply a new top coat annually, bi-annually or for that matter, years) The cost for the materials and the right tools to transform an average kitchen are less than taking a party of six to one of the nicer restaraunts in Rochester, NY! Now is the time to do something about that dark, dated kitchen. And the team at The Purple Painted Lady® is here to show you how. We will help youso you can do this yourself right the FIRST time… or …heck, if you want…..we can paint them for you! We offer the best product, the best support and the best service! Below are a couple links to two (very detailed) videos we created for the person who really wants to understand from nuts to bolts, what tools they need, the steps required and then…..demos on how to transform a cabinet. Basically, instead of charging you money to take a class with us, we brought it into your home, for free! Take a peek or better yet, visit us at our Village Gate location or at our main store in Macedon and pick up a free color chart with color swatches. Don’t be scared….we are here to help you and will make sure you don’t mess it up! I guarantee that your friends and family will ooh and ahh! But more importantly, you will actually want to spend more time in your kitchen. And ….. I guarantee you will love the change! Make 2018 the year of change for you! If you live out of NY state, if you have a local stockist- go visit them and build a relationship with them. Go to them with your questions and project issues. BUT- if you do not have a local stockist- we invite you to try our customer service! 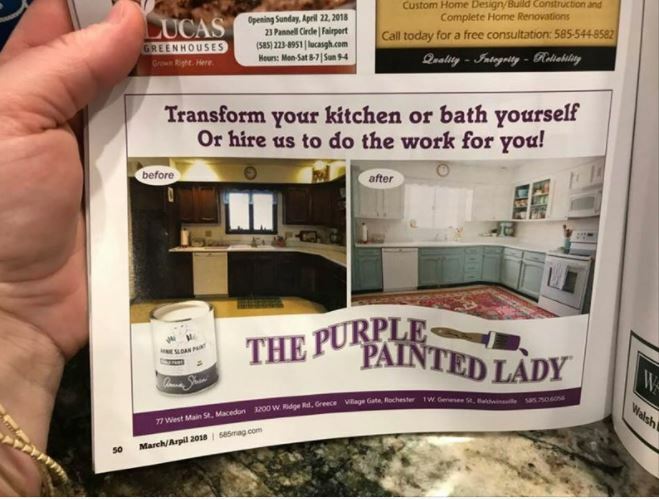 As for buying any of the products we mentioned earlier in this post- I hope that you select The Purple Painted Lady® to be your one stop resource! We have four locations in western NY. Check out our Information tab and come and meet us! Otherwise- if you are not located near me- the following information may apply to you. This information is directed to those who do NOT have a local stockist. Because if you do – go and meet them, shop from them and build a relationship with them!!! The guidance, information and knowledge they share with you – will be invaluable. Get inspired by their shop that they lovingly curated – just for you! Enjoy that one on one experience! But for those who are in a location where there is no one selling paint products- and you must buy on-line- consider us. 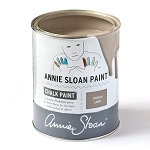 With that said, visit www.anniesloan.com to find a stockist near you. We are here to help you, our customers! We want you to be successful! * We love our customers and it shows! * We want you to be succesful the first time you use this product, so you fall in love with Chalk Paint® and tell all your friends about it! So, with that said, we promise to provide you with all the “know how” information you need to be a DIY Warrior! * We offer low flat rate UPS shipping cost so if you are one town away or 10 states away- the shipping cost is the same. * We have awesome follow up customer service, too!